When I applied to graduate schools, I had the hardest time making a decision. I loved the programs I applied to and I could picture myself at all of them, so it made it even harder when I had to pick the one to spend my master’s at. I’m not the most decisive person anyways (picking a place to eat dinner already takes me forever), so deciding on one school to attend was difficult. I knew that Rollins was a top choice of mine for many reasons, but I couldn’t turn down the other schools until I knew exactly why I loved it. For me, Rollins had this indescribable feeling that it was the place to be. I visited in the spring on a trip to Atlanta, but my trip fell during Emory’s spring break so there were no students on campus. I met with the ADAPs (Associate Director of Academic Programs, like the advisors for each department) for Global Health and learned about the academics at Rollins, including the certificate programs and all of the amazing resources available to us as students at Emory. Even without a soul in sight, Emory was still my favorite campus of all I visited. Campus was beautiful and every person I met wanted to help me love the program as much as they did. I was left with a very positive impression of the school, and I could easily picture myself at Rollins. Even after my visit, I was hesitant to commit to a school as I was worried I would change my mind at the last minute. I wanted to carefully weigh all the options before I chose Rollins, so I made a list. I had recently attended a talk where actor Bryan Cranston described his ranking system for how he chooses movie roles, and I decided to adopt his system. I made a chart with all the factors that were important to me, including choice of department, certificate, and classes; the quality of the program; the cost of attendance and financial aid; housing availability and location; job options; weather; safety; city life; and a column for my overall enthusiasm about the school. I gave each school a fairly arbitrary score (I chose 1-5) for each factor and decided the rank of the school by my chart would help me decide which school to attend. Was this a bit ridiculous and over the top? Absolutely. Is this how everyone should pick graduate schools? Not at all. I was just so overwhelmed by the options that I needed a place to start. My ranking system told me what I already knew: Emory was the place for me. 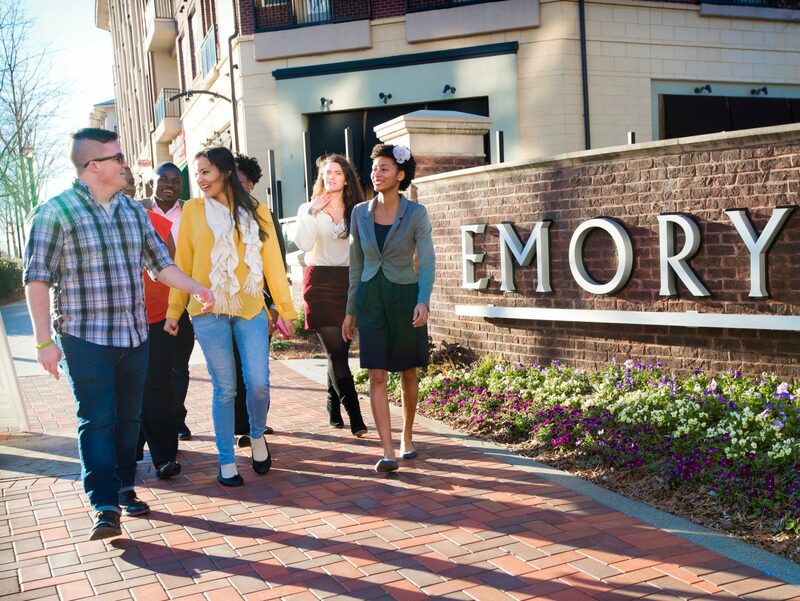 The other programs were great, but Emory consistently “scored” high on all of the things that were important to me. More importantly, I was really excited to come to Emory and join the Rollins community. Everything about Rollins stood out above the rest. The variety of classes offered, the flexible schedules and the award-winning yet down-to-earth faculty were just some of the things I liked that makes Rollins unique. Rollins students are incredibly involved in the school and the Atlanta community and I knew that a vibrant student community was important to me. I have not for a day regretted my decision to attend Emory. The more time I spend at Rollins, the more I am thankful for such a wonderful school with an enthusiastic student body. I finally figured out what that indescribable feeling was – Emory felt like home. I have loved every minute of being here, even when being a student is difficult. Student life can be challenging at times, but choosing a graduate program shouldn’t be. I hope you can find that Emory is the place for you, too. You can see even more reasons to pick Rollins here and on our blog. I hope you find what you’re looking for!